Sorry to have been MIA for so long! Computer issues on TOP OF more computer issues have made it impossible for me to post to my blog for the last couple of weeks. All’s well now and NOW I’m overwhelmed as to where to even start to get caught up on posts?!?!? 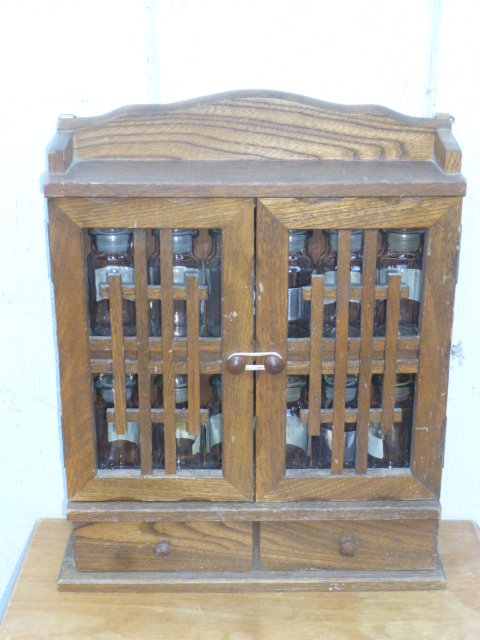 Tall metal tower display unit with glass shelves. 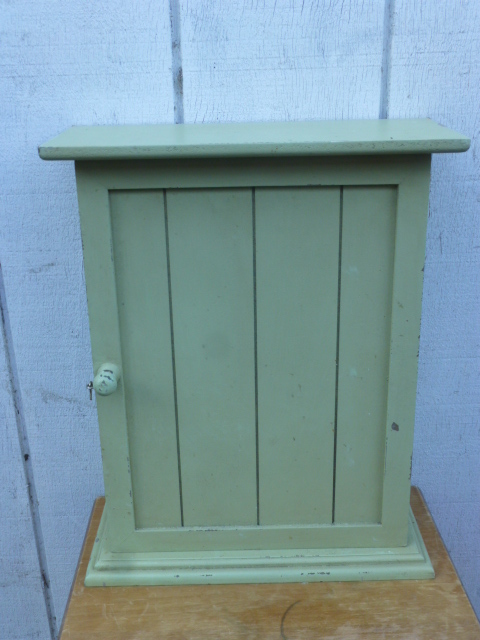 Can’t decide if I want to paint it aqua or go more neutral with black??? Not a great picture, but on the left is a wall towel rack with a bowl shape thing on the bottom. 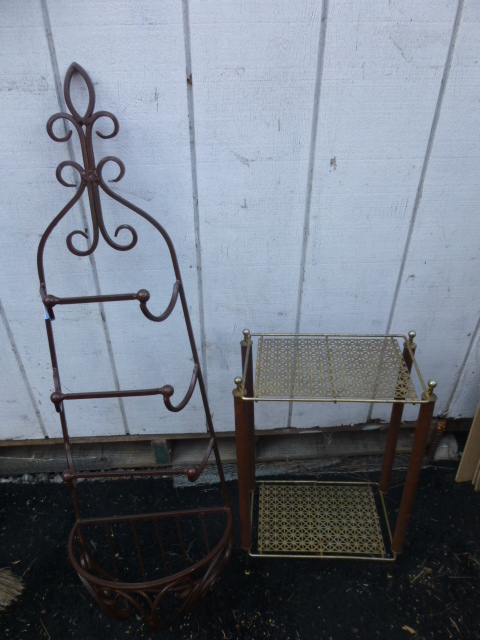 On the right a funky little metal and wood stand. 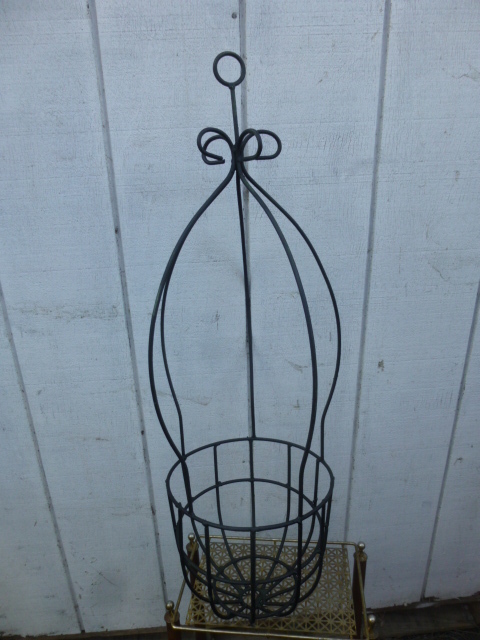 Wrought iron plant hanger. Was a light green and I painted it black. 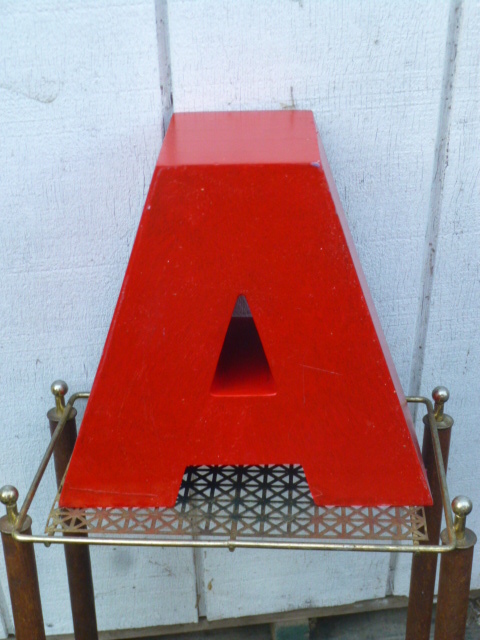 Giant letter “A” is really HEAVY! 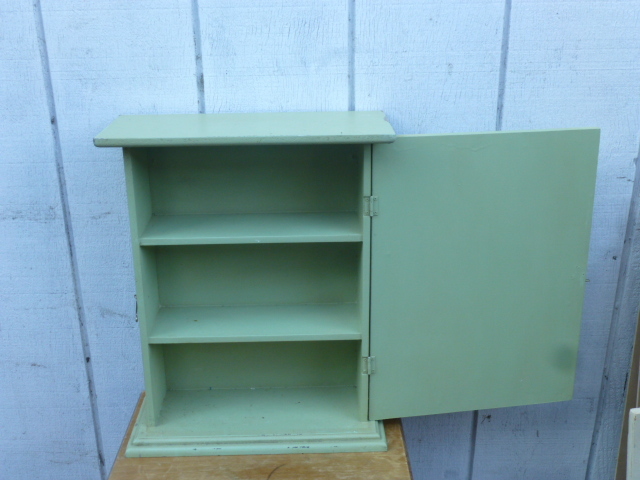 I’ll be repainting it and keeping it for my personal collection. 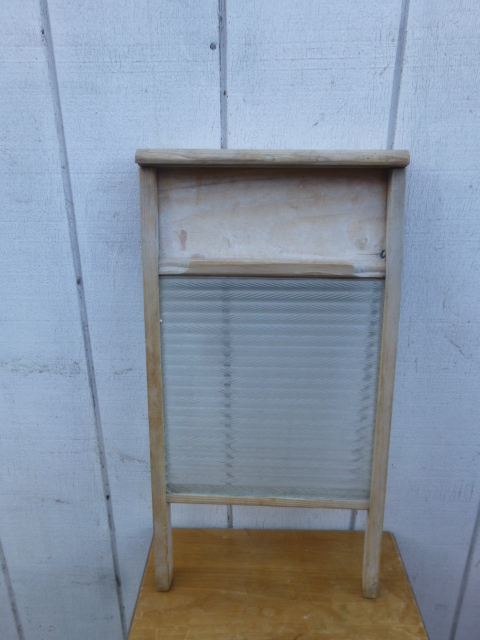 Fabulous shabby old wash board with GLASS. 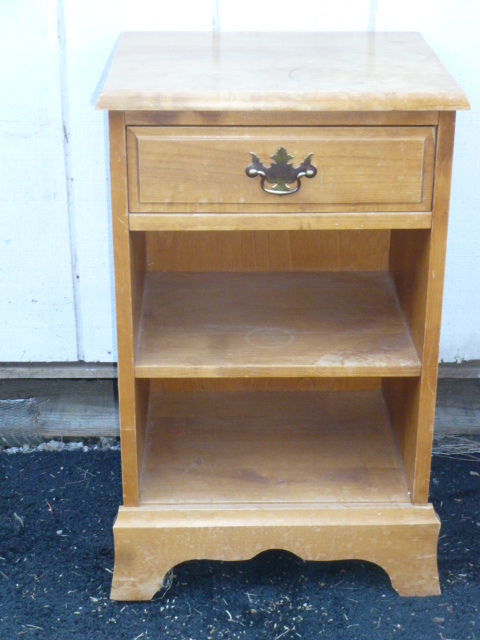 Sweet bedside table to sand and repaint. 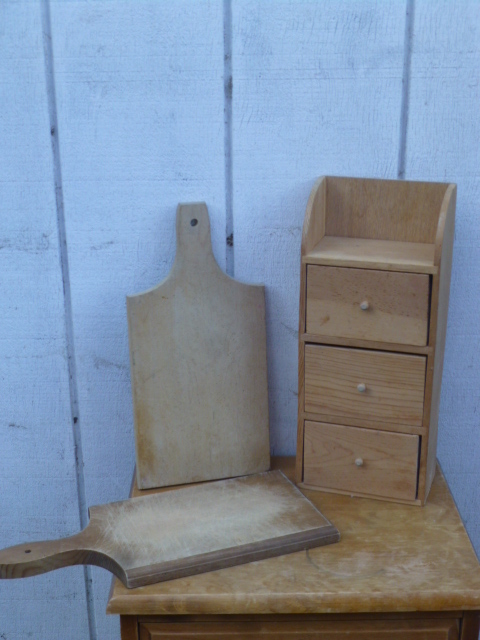 Cutting boards and an apothecary chest. 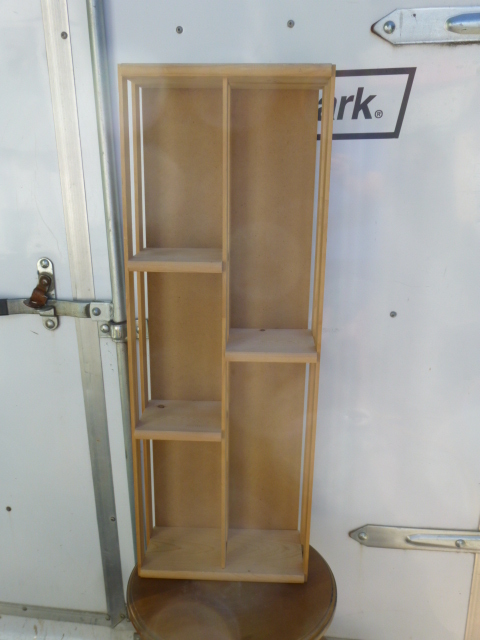 Simple tall skinny crate shelf. 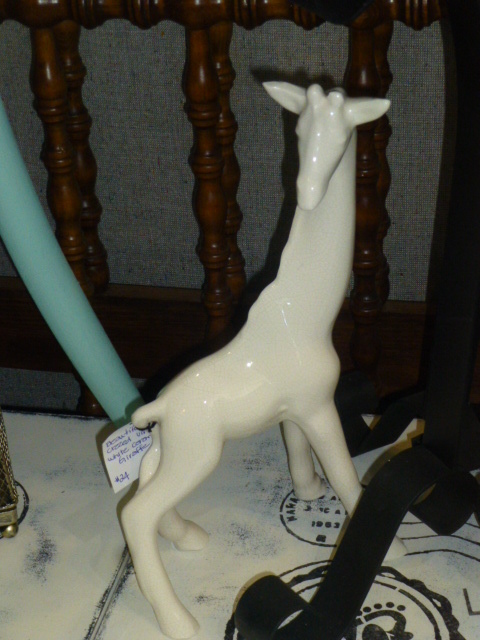 A few of the finds have already been taken to one of my booths; like this sweet vintage ceramic white giraffe in my booth at Curiosities. A ‘pie bird’ that has also gone to Curiosities. 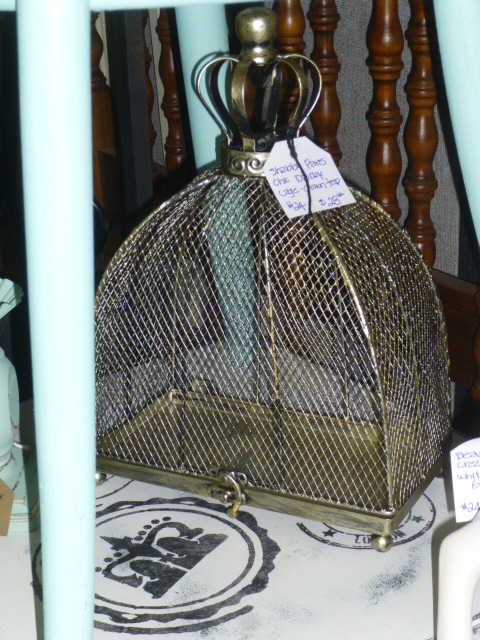 A pretty crown topped display cage; Curiosities. 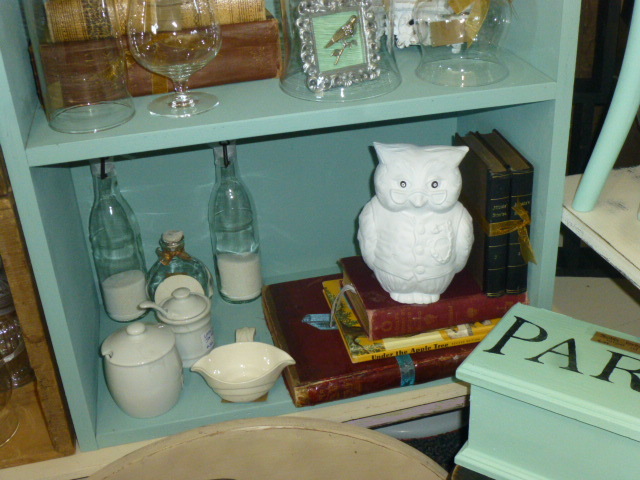 Ceramic owl that I painted white; Curiosities. 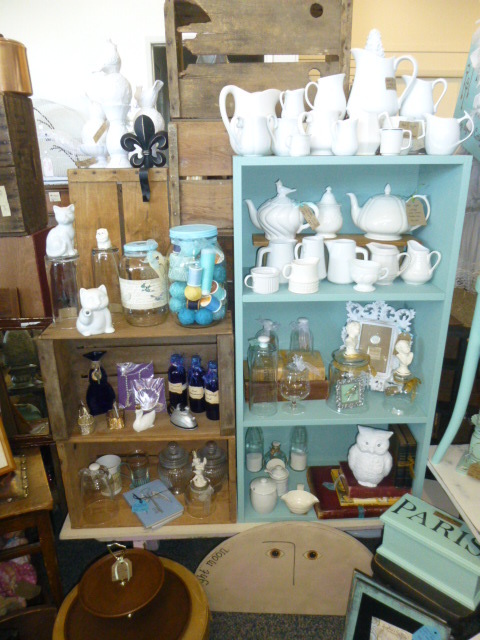 Scored a LOT of vintage white pitchers at the big rummage sale out in Buxton (which continues this weekend!) 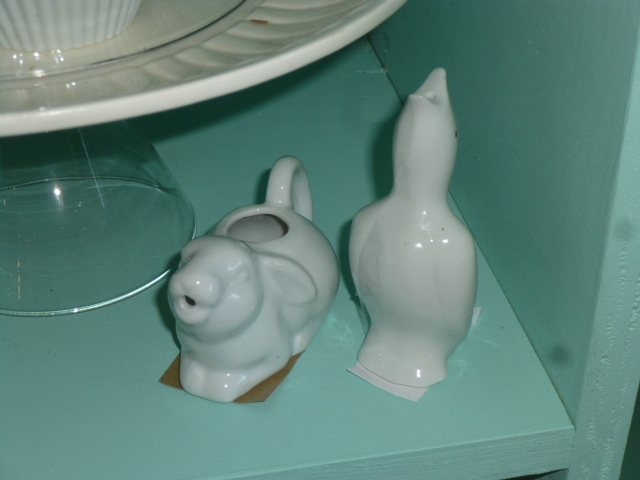 Took them all to Curiosities, but I also have a lot of white dishes, including pitchers in my booth at Stars. 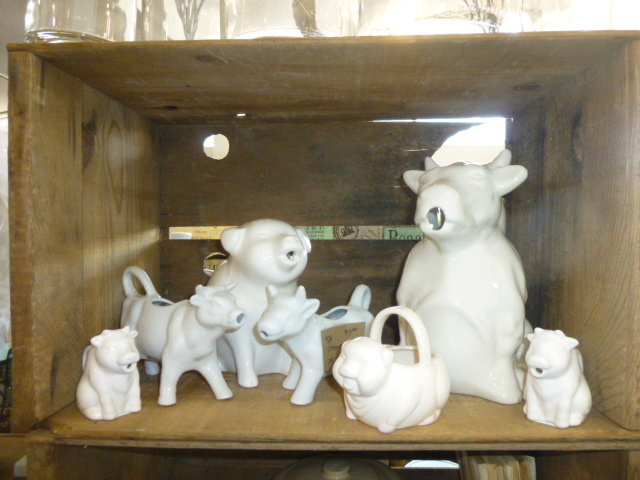 Lots more cow pitchers to add to the barnyard at Curiosities! 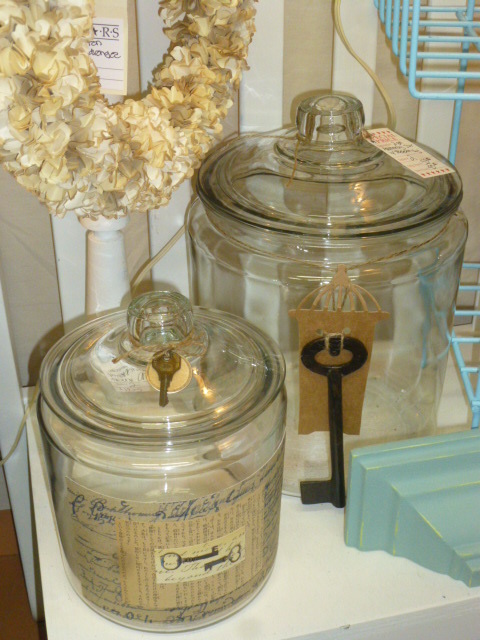 Another one gallon big glass ‘mercantile jar’ (I have two more one gallon size) and a two gallon one; both with some decorative elements added. I always use water soluble glue when adding labels to jars so they are easily removable if desired. Just soak on warm soapy water and they will come right off. Pretty wall towel hooks with scallop designs; Stars. 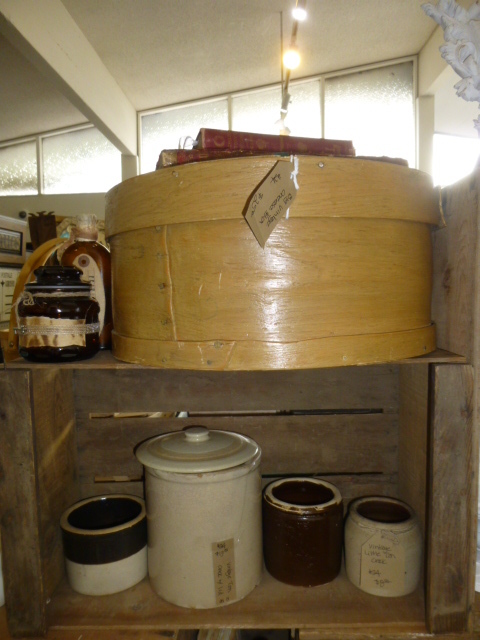 Ginormous vintage cheese box; Curiosities. 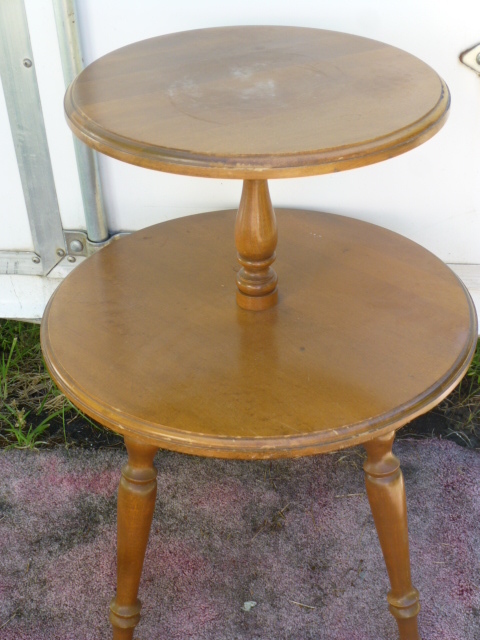 And my FAVORITE find, a two tier drum table!!! 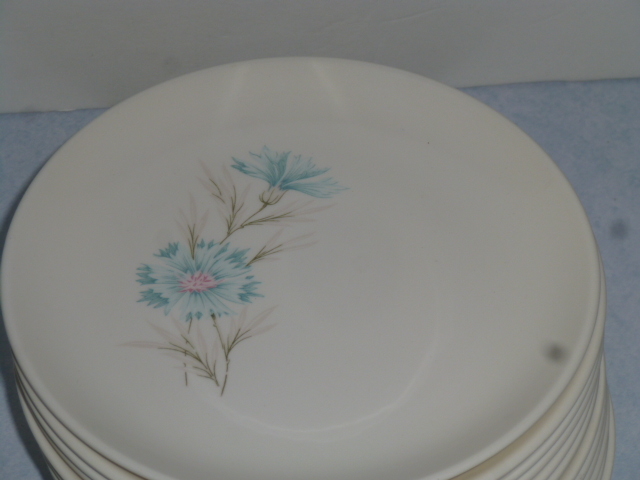 And for my ‘personal use’ I finally decided to start accumulating vintage dishes in this pattern. I have ALWAYS loved this pattern and ‘have thought about’ starting a collection for my own use every time I have come across them at a sale. I finally caved and bought this dozen side plates. It’s also an ‘easy design’ to blend with plain white dishes, just in case I can’t find everything I need in the pattern. And now that I’ve done all that SHOPPING, I’ve got to start working on projects big time! I am so glad to see that you are blogging again! Each post, I read and really appreciate that you take the time to do so. You have inspired me! 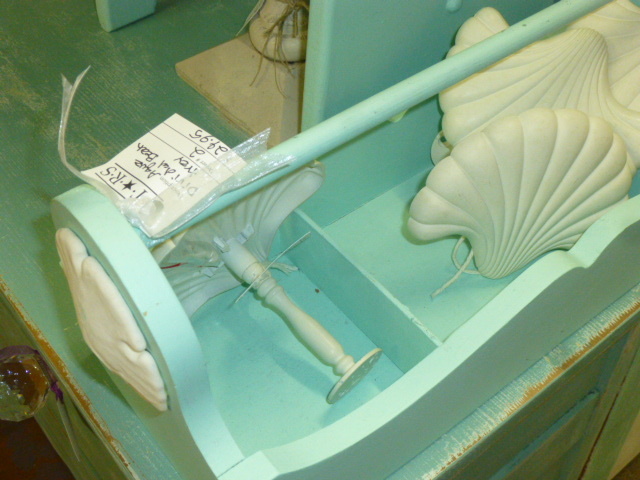 LOVE YOUR GOODIES……..BUT THE SHELL SHAPED TOWEL HOLDERS ARE ACTUALLY CURTAIN TIE BACK BRACKETS. I HAD SOME SIMILAR TO THESE THAT WERE WHITE WITH A BURNISH OF GOLD OVER THE TOP EDGES. HOPE THIS IS A HELP TO YOU. 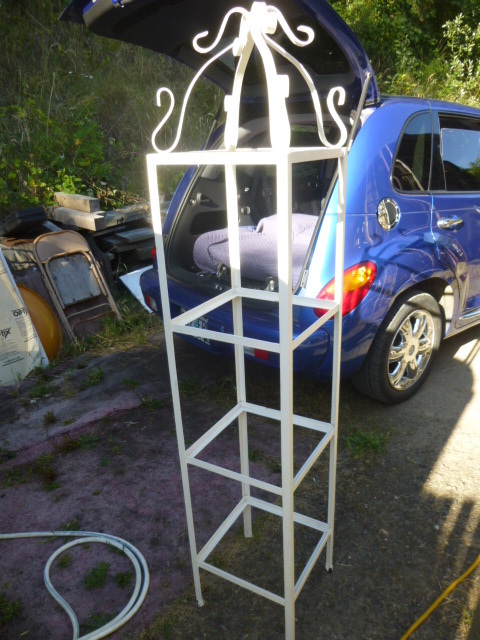 Is the tall metal tower display with shelves for sale? It WAS for sale. It has sold.